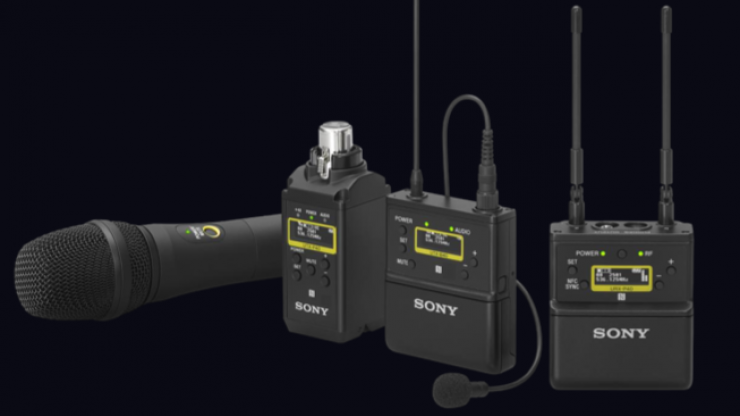 Sony has announced a new UWP-D wireless microphone series. 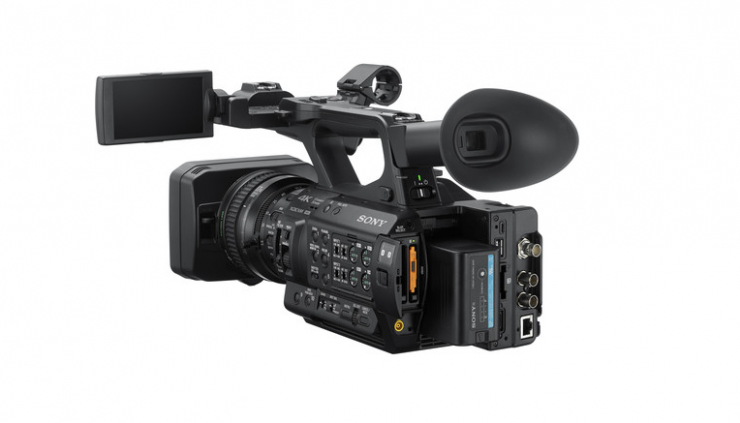 The new UWP-D series has been designed to enhance the audio capabilities of XDCAM camcorders such as the PXW-Z280 and PXW-Z190. As the receiver uses an MI shoe with Digital Audio Interface it can communicate with and be powered from compatible cameras. Not only will the audio signals be passed straight through the MI shoe so you don’t need to use any cables, but with compatible cameras you will also be able to see wireless microphone information on the viewfinder. 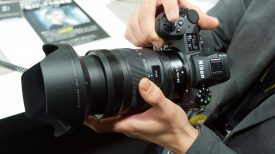 The new UWP-D transmitter is around 20% smaller than previous Sony UWP models and the MI shoe size on the receiver has also been reduced in size. One of the other new features on the UWP-D wireless microphone series is the NFC Sync button. What this does is allow you to very quickly par transmitters and receivers without having to go digging around in menus. 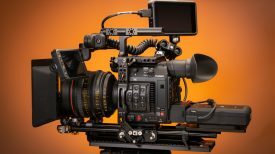 The UWP-D wireless microphone series will consist of a receiver, transmitter with lavalier mic, handheld microphone with uni-directional capsule, and a Plug-On Transmitter with 48V Phantom. It’s unclear whether there will be a dual receiver available. 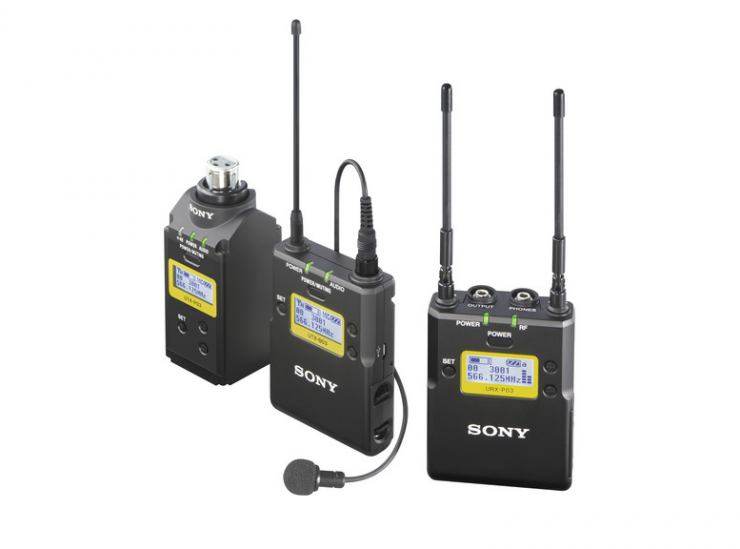 Sony already has an existing range of UWP wireless microphones available. 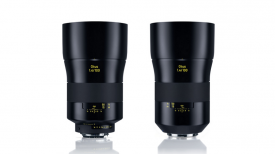 The new versions, while slightly smaller, look to offer a lot of the same functionality. From what I can see, the only real benefits from using the new series come if you are using the wireless system with the PXW-Z280 and PXW-Z190. 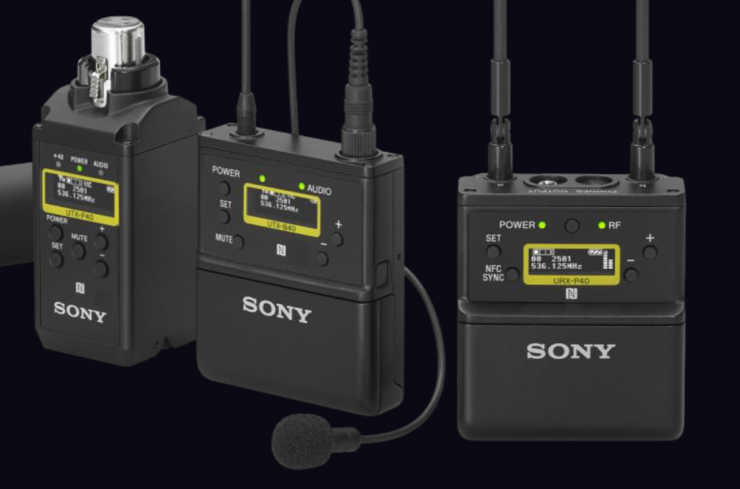 Sony has said that the new UWP-D wireless microphone series MI interface advanced functionality will only initially work with the PXW-Z280 and PXW-Z190. It will be interesting to see if it can be added to other Sony cameras that feature an MI interface. There is currently no pricing for the UWP-D wireless microphone series. They are expected to start shipping sometime during the northern hemisphere summer.